Discover the elegant rose garden of the Jacinthe et Rose fragrance, the ultimate floral adventure of elegance and passion. Enriched with sparkling citrus top notes, the beautifully bright composition comes to life with a sensual heart of orange blossom and rose. Transparent musks and vetiver warm the base, embodying a delicately pleasurable fragrance for her. 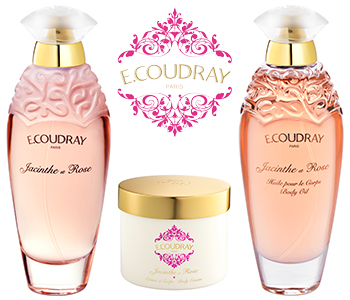 This luxurious collection consists of a sensual Body Oil, precious Eau de Toilette and sumptuous Body Cream, ready for you to enjoy the simple pleasures of the Jacinthe et Rose fragrance.